What would happen if Lily Allen, Kate Nash, and No Doubt had a wild weekend, resulting in love child of dubious origin? 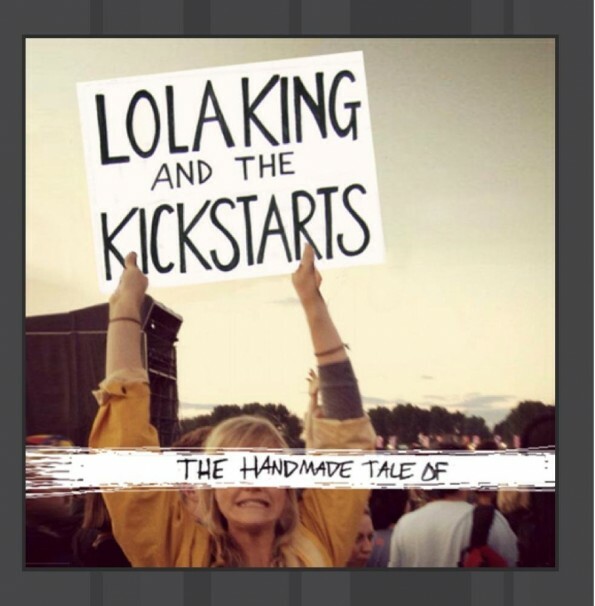 Lola King and the Kickstarts would come screaming into the world, full of love, snark, and addictive music. Lola and her brother Dan (in-house producer for Kickstart studios) decided to do things their own way, writing, producing and recording the album. They added in Chris Curtis (bass) and Shaun Lee (drums, percussion) to round out their fun mix of as many genres as they can fit into their songwriting blender. Seriously, they have rap, ska/punk, rock, and giggly pop music-that is bravery or some serious ADD. Either way, we liked it. “The Great Divide” opens the album; it is a jangly pop tune encouraging us to be our own person. “Bounce Together”, is the happiest bouncing back (ha ha) from a break up song you’ll hear til Katy Perry copies it. Weakness for late night one-off encounters? “This Is Not a Love Song” will become your anthem. “Interlude in F Sharp” was not an interesting instrumental, but rather a pathetic excuse for Lola to shout/rap the f-word for a minute, 31 seconds. Coming from Leicester, England we expected that word to show up at some point, but we also expected it to make some sense, lyrically. This is not the most consistent album, but there is enough here for us to ‘add it to our sin list’ and look forward to what comes next – we for absolutely won’t be bored.